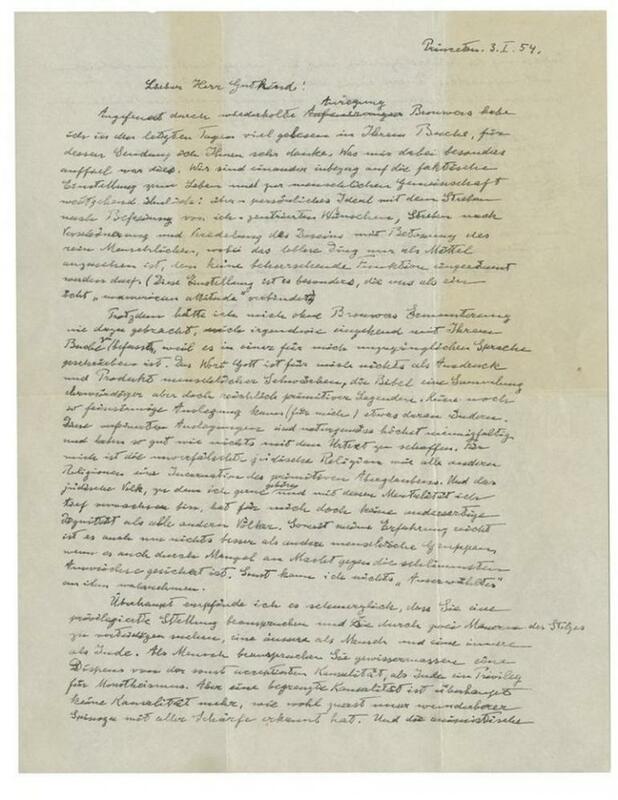 Written in 1954, when Einstein was 74, the one-and-a-half page response to German philosopher Eric Gutkind was sold at auction for … Three Million Dollars! Give or take. Is $3 million a big number? It certainly drew attention, which is good because of what’s behind it. A clever, thoughtful mind, in collaboration with others. My attention was drawn by Albert Einstein writing about god! Einstein was a scientist. The scientist. Talking about religion. In a deeply spiritual way. If you are a bit like me: a scientist (small “s”, ie asks questions) who is religious about some things (including “antitheism” for a while), the”God letter” would intrigue you. The physicist also muses on his own Jewish identity, writing that it is “like all other religions, an incarnation of primitive superstition”. Einstein distinguished three human impulses which develop religious belief: fear, social or moral concerns, and a cosmic religious feeling. A primitive understanding of causality causes fear, and the fearful invent supernatural beings analogous to themselves. The desire for love and support create a social and moral need for a supreme being; both these styles have an anthropomorphic concept of God. The third style, which Einstein deemed most mature, originates in a deep sense of awe and mystery. He said, the individual feels “the sublimity and marvelous order which reveal themselves in nature … and he wants to experience the universe as a single significant whole.” Einstein saw science as an antagonist of the first two styles of religious belief, but as a partner in the third. He maintained, “even though the realms of religion and science in themselves are clearly marked off from each other” there are “strong reciprocal relationships and dependencies” as aspirations for truth derive from the religious sphere. The following was written a few years before the “god letter”. Sadly we paid less attention to the enlightened perspectives on the meta-physical and on liberating human potential which have been smothered as we clamour for more, … more stuff. … breathe … think … flow….